Traditionally, September marks the end of the summer vacations and the start of announcements for products that will be in the shops for Christmas. And September 2004 and 2009 certainly brought some interesting-looking devices to the public view. Nokia announced several devices this month, but the most remarkable were a trio of fashion phones. We hated the Nokia 7260 with a passion when it came out because it was a very poor handset underneath its very bold design, but these days it looks much better than the bland black slabs we get. The Nokia 7270 clamshell phone was the middle phone in the range, a rare foray into clamshell phones for Nokia and a nice looking device too. 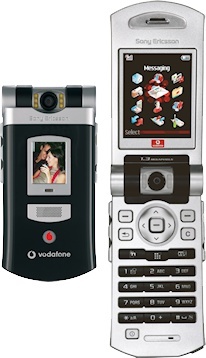 But the attention grabbing one was always the Nokia 7280 "lipstick" phone. With no keyboard and a tiny screen, the 7280 wasn't the easiest thing in the world to use.. but it looked fantastic and to a modern audience it is almost inconceivable that the thing is actually a phone at all. A somewhat overlooked entry into Nokia's range of Communicator smartphones, the Nokia 9300 distilled the essence of the much bigger 9500 into a compact and rather elegant package. The lack of high-speed data held it back though, and it took more than a year for a WiFi version to come out which was much more popular. 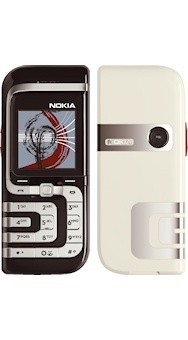 In our view the Nokia 6670 is one of the ugliest Nokia handsets ever made. 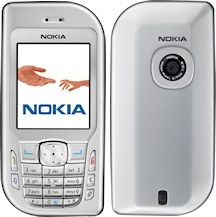 Based on the radical, interesting but not terribly usable Nokia 7610, the 6670 attempted to sober up the design by inserting a more conventional keypad where the 7610 had one with swooping lines. The result is a device that doesn't work in terms of ergonomics, or in terms of styling. Japanese firm Sharp were an important partner for Vodafone who were pushing hard into the 3G marketplace. Headlining a number of 3G handsets to be announced this month was the Sharp 902, which was a very Japanese-style swivelling smartphone with a high-quality QVGA display, 2 megapixel camera with optical zoom, expandable memory and of course 3G support. The 902 was significantly more advanced in many respects than anything else on the market. 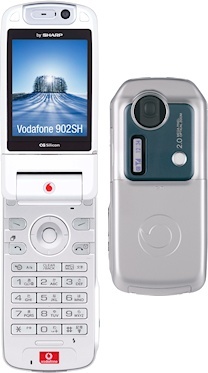 However the 902's modest sales were overshadowed by the cheaper and very much non-3G Sharp GX25, a lightweight and stylish clamshell featuring Sharp's ultra-sharp display which sold very well to Vodafone customers on a budget. Sony Ericsson also leveraged some of its Japanese know-how to come up with the Sony Ericsson V800, also exclusive to the Vodafone network. It was a generation behind the Sharp 902 in terms of features, but in the end Sony survived in the European mobile marketplace where Sharp did not. HTC wouldn't start selling phones under its own name until 2006, but in September 2004 it was busy making devices for other companies. 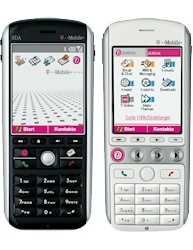 The HTC Magician was sold as the T-Mobile MDA Compact, the HTC Blue Angel became the O2 XDA IIs, and two different versions of the HTC Typhoon were sold as the T-Mobile SDA and SDA Music. 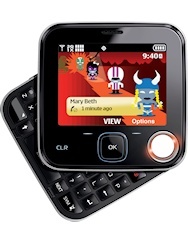 Marketed at young children, the Siemens CX70 Emoty was a rather cute device with animated characters, emoticons and special sensors on the outside. 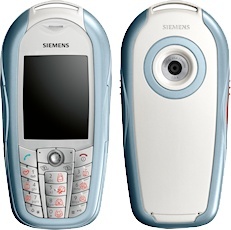 Like a lot of other Siemens products from the time, it was interesting to look at.. but not really much of a success. 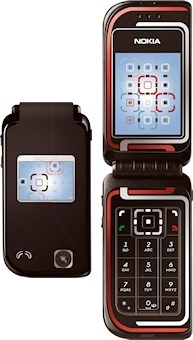 The Motorola CLIQ (or Motorola DEXT, depending on market) was Motorola's first Android phone, and although it was a welcome change of direction it wasn't quite the breakthrough device that Motorola needed. These days all "Xperia" devices are Android smartphones, but the Sony Ericsson Xperia X2 (and its predecessor the X1) were both Windows devices instead, although Sony Ericsson's experiment with Windows turned out to be a brief one. 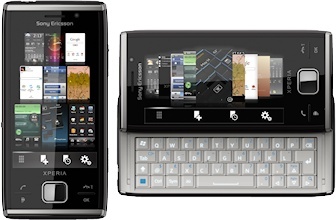 The Xperia name was also stretched to the strange but rather wonderful Sony Ericsson Xperia Pureness fashion phone, which had a transparent monochrome display and a concierge service. It's an esoteric and very rare device, but at the time of writing brand new ones are still available at the cost of up to €550 or so. 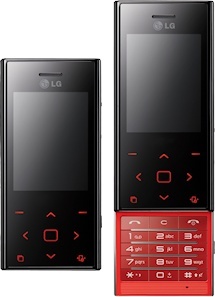 LG were also in on the fashion phone act with another "Chocolate" phone, this time the LG Chocolate BL20, but it never reached the successes of the original KG800. More successful was the fun LG GD510 Pop, a little touchscreen feature phone that sold quite well. 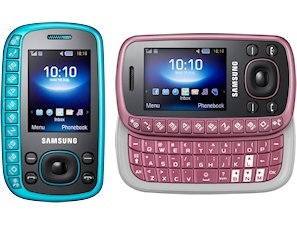 Samsung also had several touchscreen feature phones, and the Samsung Corby S3650 was a very popular device indeed. Less popular but remarkably odd looking was the Samsung B3310 messaging phone. Samsung also made the Vodafone 360 H1, an attempt by Vodafone to build a platform based on their own content and smartphones running the Linux-based LiMo operating system. The H1 was a failure, but LiMo eventually became Tizen and ended up on Samsung's smartwatches five years later. 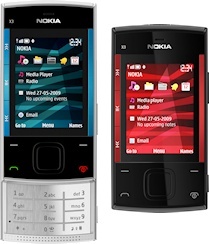 Nokia tweaked the original rather buggy N97 to come up with the significantly better Nokia N97 Mini Symbian smartphone. 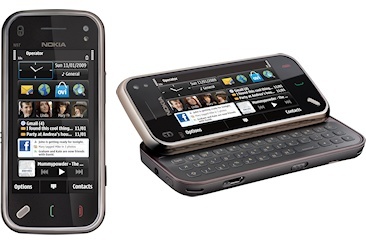 The Nokia X6 was another attractive Symbian touchscreen device, launched alongside with the pretty but basic Nokia X3 feature phone. 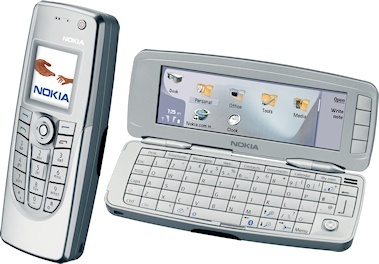 One weird handset launched this month was the Nokia 7705 Twist which had a hole in it.. that idea didn't catch on. 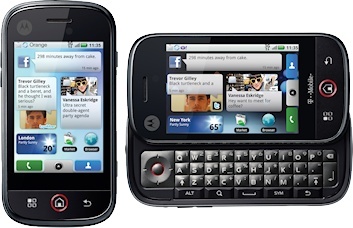 And this month in 2009, Palm attempted to follow-up their moderately successful Pre WebOS smartphone with the Palm Pixi, which was cheaper and had a more conventional layout. But while the Pixi was decent enough, it couldn't compete with the iPhone and the new wave of Android handsets that were coming to market in late 2009.